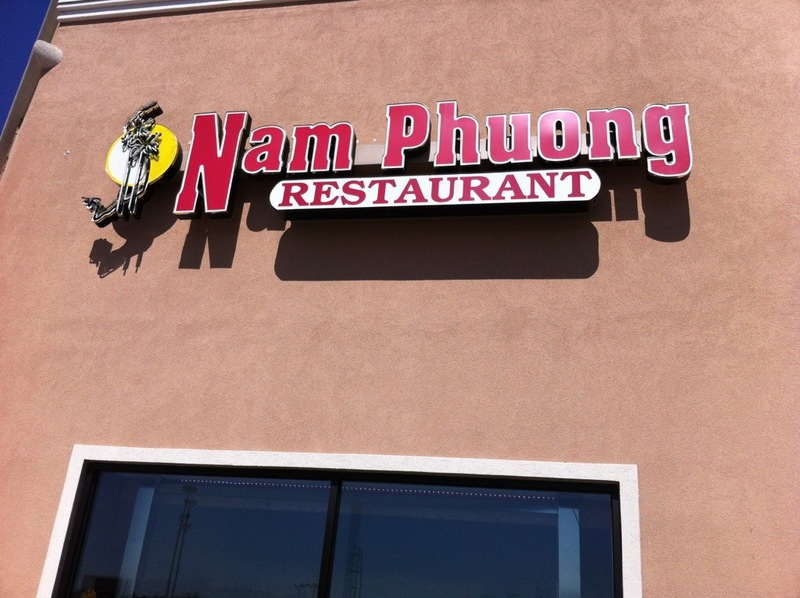 For the last couple of years, every article that I read about food in Atlanta mentioned Nam Phoung, in Norcross. When a friend and I were looking for a place to celebrate his birthday lunch, and I realized that Nam Phoung was between our offices, I suggested it and he thought it sounded like fun. Even though this place is tough to get into from I-85 – it’s on the north side of Jimmy Carter Industrial Boulevard, which means that you have to make a right turn onto the south side of JCIB, so that you can make a left back onto JCIB westbound and pull into the parking lot (that years back was a Cub Foods and now contains a giant Asian grocery) where they are located on the west-most end – it was worthwhile. 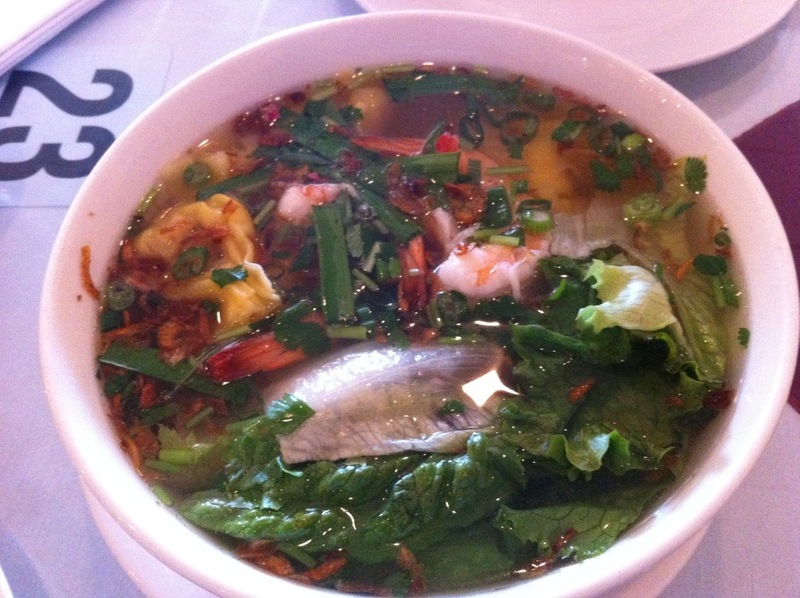 We started with Hoanh thanh sup (wonton soup) that was excellent. It portended good things to come. 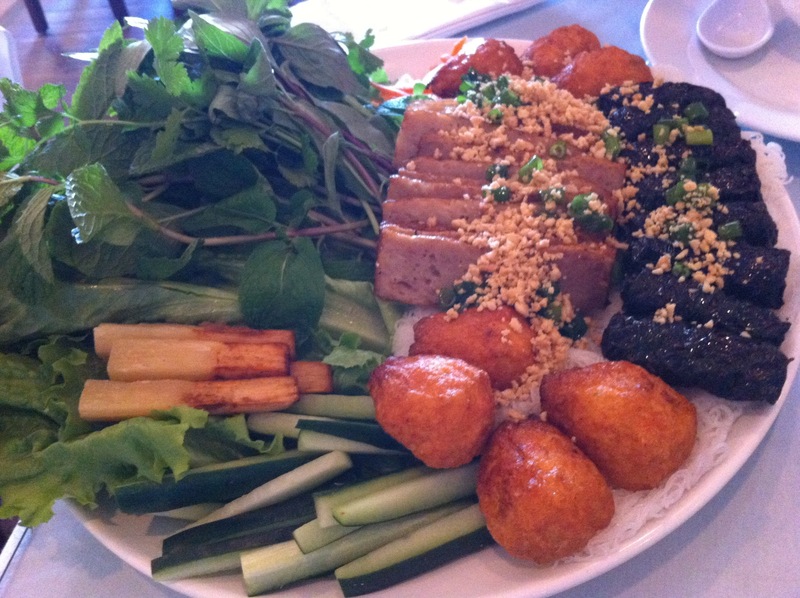 The review I read on the Atlanta Magazine dining app said that the dish to try was Nam Phuong Ba Vi (Nam Phuong’s Three Delights (for 2)) – sugarcane shrimp, pork strips and grilled betel leaves stuffed with spiced beef. The two was a suggestions – three might have been better. 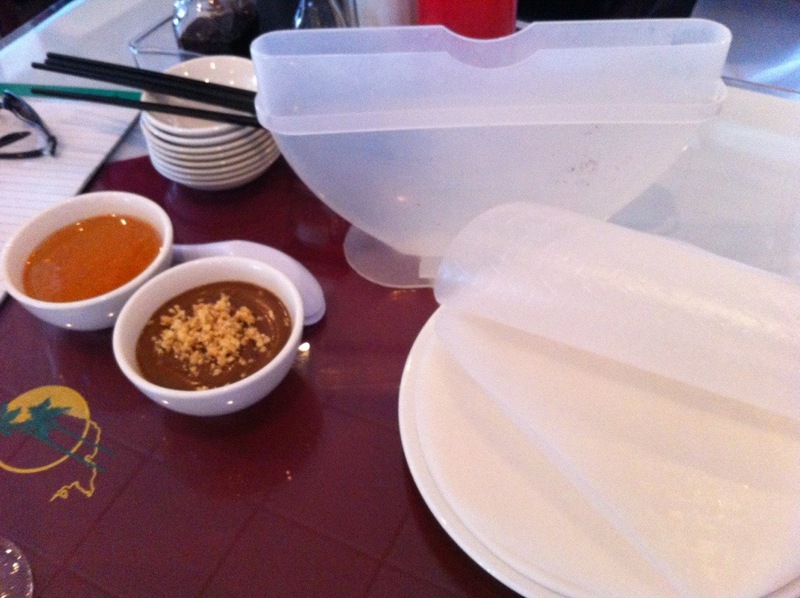 First the waiter arrived with what looked liked the bottom half of a two-sided plastic pie pan turned on its side (filled with warm water), along with a tray covered in thin rice paper and two bowls filled with dipping sauces – one hot and sour and the other peanut. roll it tightly, like a spring roll or a burrito. They ended up being incredibly delicious. The beef in the the grape leaves was interesting, and the pork filled ones (especially if you dipped them in the peanut sauce, if you ask my dining companion) were very good. But the sugarcane shrimp were the best – and I’m not a huge shrimp fan. I keeping looking for an opportunity to head back over there for lunch, with two other dining partners next time.